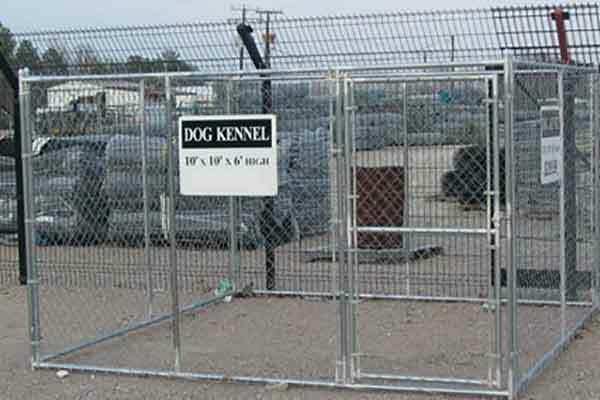 We offer 10’ x 10’ x 6’h welded construction dog kennels with 12.5 gauge chain link fabric. We also offer kennel colors such as black and green. 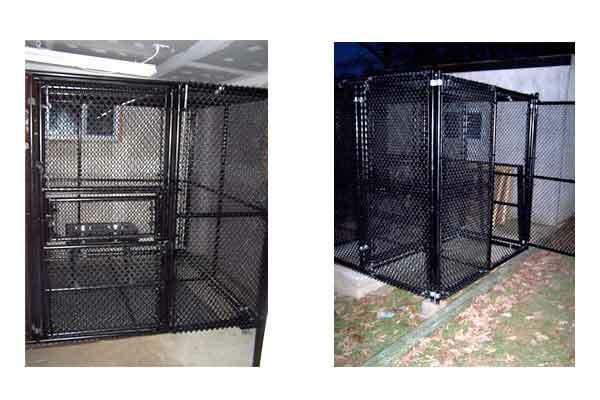 Custom kennels can be built with small mesh fabric for small dogs or puppies. We have built panels with galvanized sheet metal on the lower portions to isolate dogs. Some breeders and boarders have us design and build kennels to fit their interior enclosure as well as their outdoor slab space. Kennel door panels made with self-closing hinges and automatic-enabling latches for security. Manufactured with 14 gauge steel pipe and 9 gauge commercial fabric – all welded construction to exact width specifications. Custom indoor and outdoor cage built with mini-mesh fabric covering all sides with tight-quarter hinge and latch specifications. Heavy duty casters welded to bottom of interior cage for ease of mobility. Feeding access doors installed in both cages for assistance with small animals. Outdoor cage assembly constructed with dual isolation entry points to prevent small animals from escaping. Please contact us and we can help you design and build an enclosure for your pets no matter how big or small.